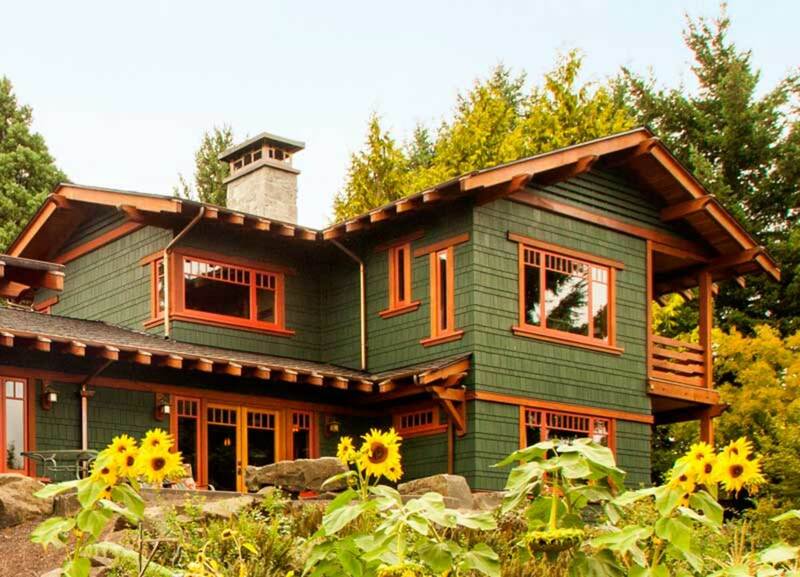 See a collection of our favorite Craftsman-style service rooms. The master bathroom is part of a comfortable suite. Dark walls set off the creamy tile and cabinets. In this recent rebuild of an undistinguished 1980s ranch, even the service rooms sing with period authenticity. 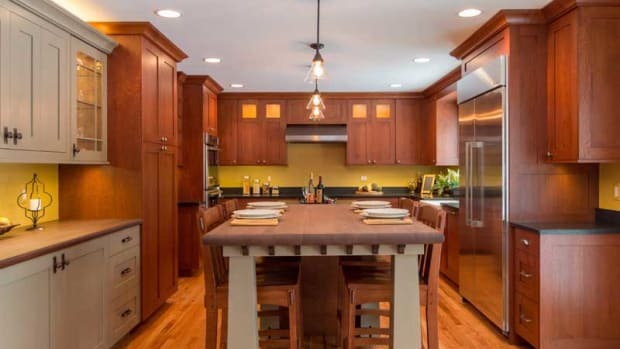 Design was a collaborative effort among owners, architect, and contractors. “But a lot of the interior details were worked out by Eric Lichtenthaler of Bear Creek Construction, the project manager,” says homeowner Brian Dalton. Eric worked with cabinetmaker Steve Boone to create unique cabinets throughout the house. In the kitchen, they’re made of clear-finished Douglas fir. For bathrooms and laundry/mudroom, they chose paint-grade lumber. 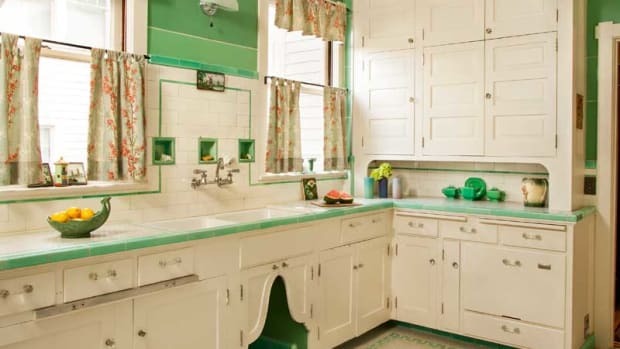 The bathrooms represent the best millwork and tile of the bungalow era. 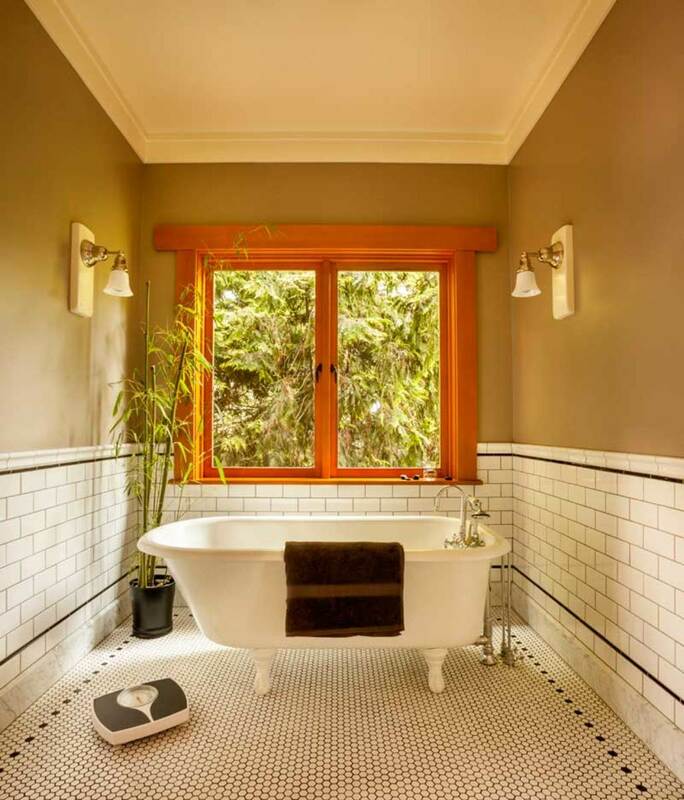 The master-bath “tub room” includes a restored 1931 Stanley clawfoot bathtub. Walls are an earthy taupe. 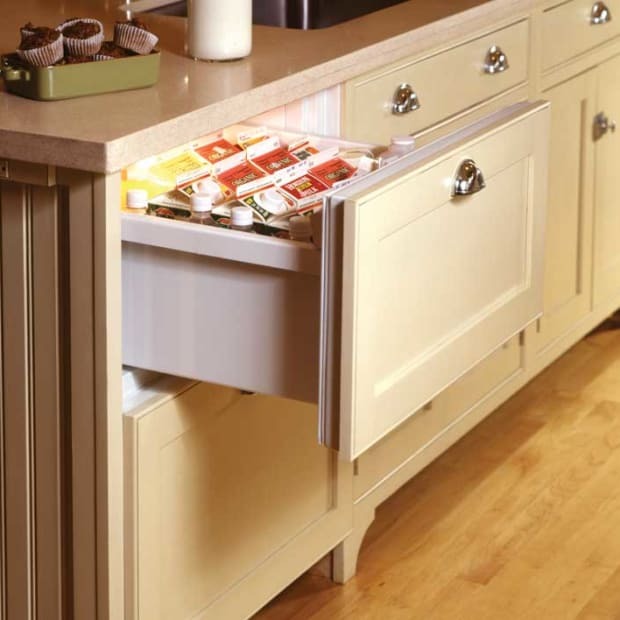 Flat-panel cabinet doors have decorative cutouts, which incidentally ventilate the under-sink areas. 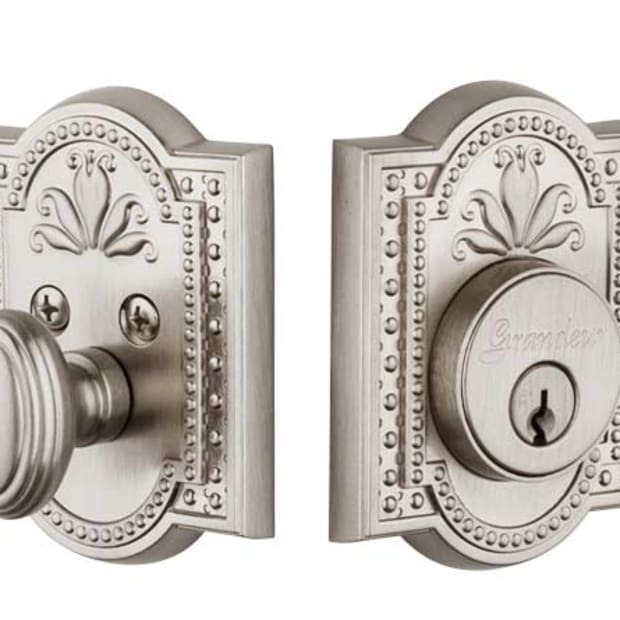 Prairie-inspired details were used for kitchen cabinets, and that vocabulary carried over to the bathroom. Cutouts in the doors are decorative and also provide ventilation. Downstairs, the powder room has a more furnished look with fir slab mouldings and an oak floor matching that in other rooms. 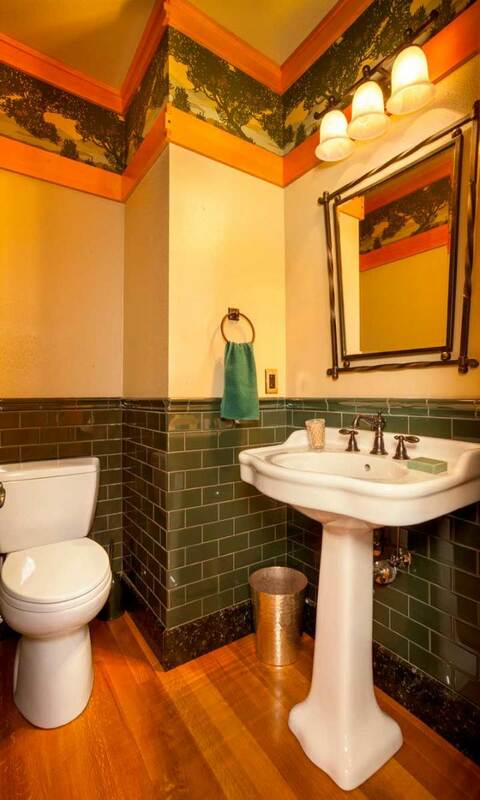 Color comes from the Bradbury landscape frieze and the green glaze of the subway tile. The baseboard is marble. Located just inside the rear garden, the laundry room doubles as a mudroom. 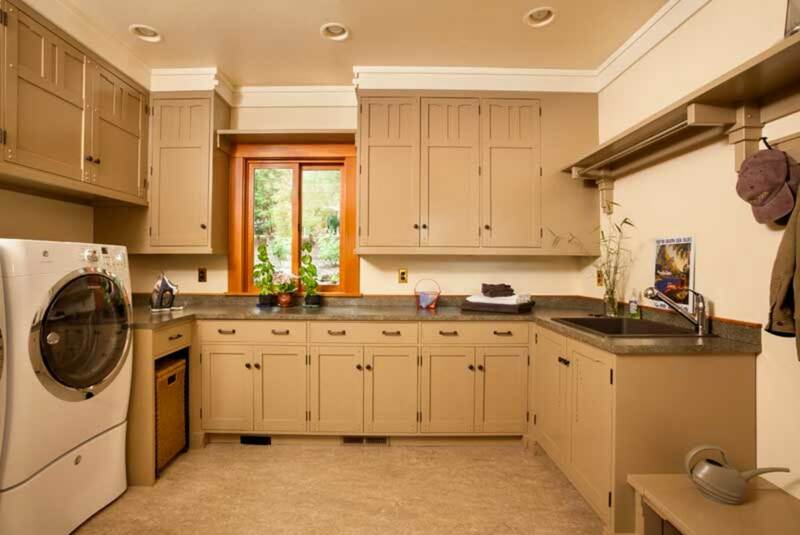 Cabinets have a simple period design. Miller Paint custom-mixed the cabinet color, which is similar to ‘Mission Hills’ by Behr. Plastic laminate countertops are an affordable, water-resistant option. The laundry room serves, too, as a mudroom, with plenty of storage and a practical linoleum floor. 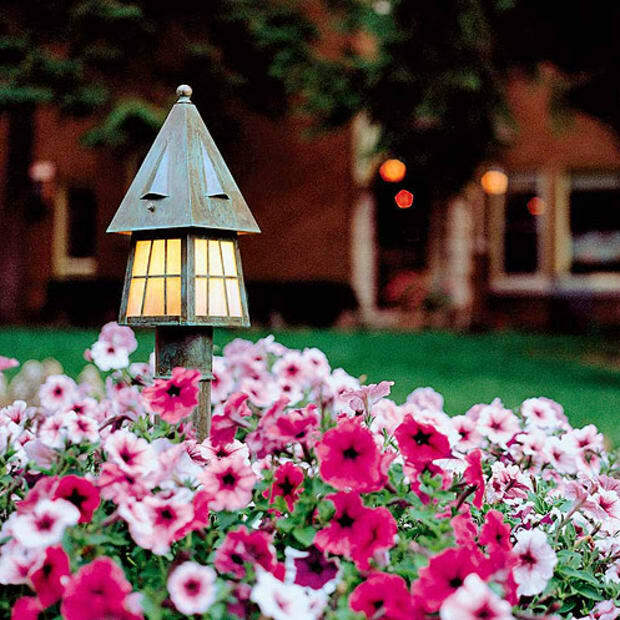 Owners Carol and Brian Dalton are long-time Arts & Crafts enthusiasts and sticklers for detail. They had amassed a library of related books and visited Greene & Greene-designed houses in Pasadena, and they were aware of historic houses of the period in Oregon. 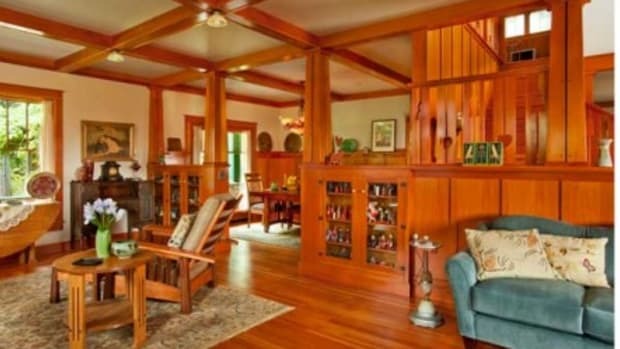 For this house, “Our primary inspiration was certainly the Greenes’ work,” Brian says, “but with ample doses of Stickley , and with Prairie School and C.R. Mackintosh in the mix.” The cutouts in cabinets, for example, are Prairie-inspired with a nod to textile motifs. Bradbury’s ‘Fir Tree’ paper landscape frieze is framed by wide fir trim pieces with exposed corner joinery. Brian says they had several three-ring binders of photographs for the bathrooms alone. 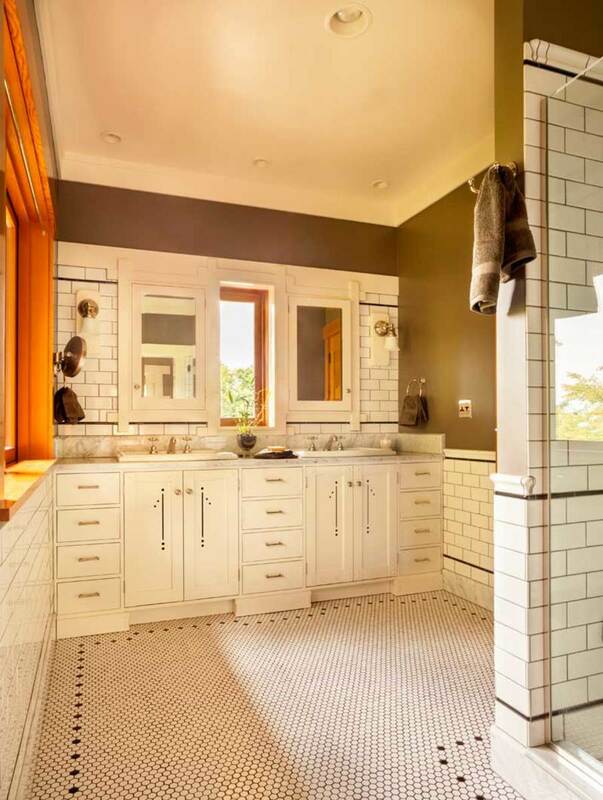 Brian had seen white subway tile with grey grout in historic public bathrooms in Chicago, which they chose for the master and guest baths. 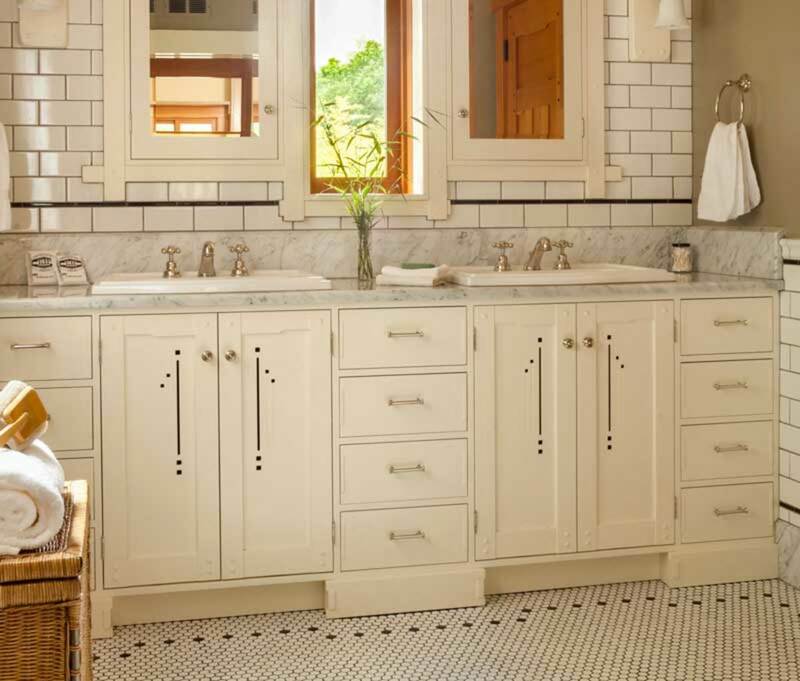 These white bathrooms largely are patterned after those in the Gamble House. Notable bungalows of Southern California inspired the design of the new house. 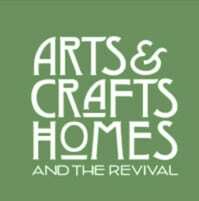 A new Arts & Crafts house was inspired by fond memories of a grandmother’s Craftsman home and one owner’s Swedish heritage.